COP stands for Conference of the Parties. 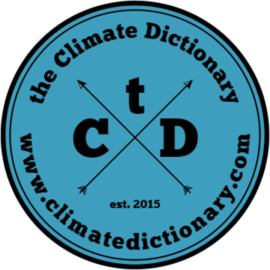 It is the name of the governing body of the UN Climate Change Convention (UNFCCC). It is also the name of the annual meetings of the countries who are parties to the convention. They usually take place in late November/early December and they are numbered. That means COP22 is the 22nd meeting (since the convention was created). The pictures show the logotypes for COP meetings between 2004 and 2015.